Our staff of professional exhibitors teach respect and appreciation for exotic and unusual animals. Our presentation is hands-on, interactive and can be tailored to meet your individual needs. 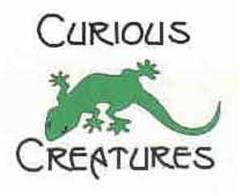 We include interesting facts and stories about our creatures in an educational and entertaining environment. With over 17 years of experience, J &J Ponies provides safe child entertainment at parties, functions, company outings, community events, school fairs, town fairs, and any kind of event you can envision. We bring our clean, shiny, happy, healthy, kid-friendly ponies with everything necessary for a fun and unique experience. We take excellent care of our ponies and it shows in their shiny coats and docile temperaments. We strive to deliver a quality service at a reasonable price. Our uniformed, color coordintated professional, courteous, and attentive staff can be relied upon to show up on time and provide a great event. And, of course, prior to leaving, we will clean up after our ponies. We love our jobs and it shows in our attitudes and appearances. We look forward to serving your needs."